Here, is how you can customize Windows 8 to enable the automatic login option. Basically, how to automatically login to Windows 8. 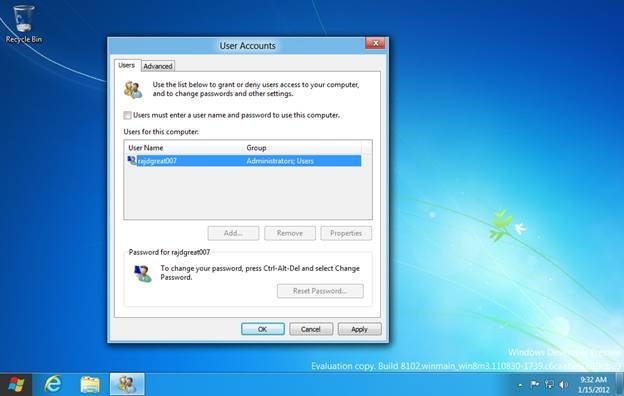 With the automatic login option enabled, Windows 8 will not prompt for your username or password every time you login to Windows. Lets read the tutorial- how to automatically login to Windows 8. 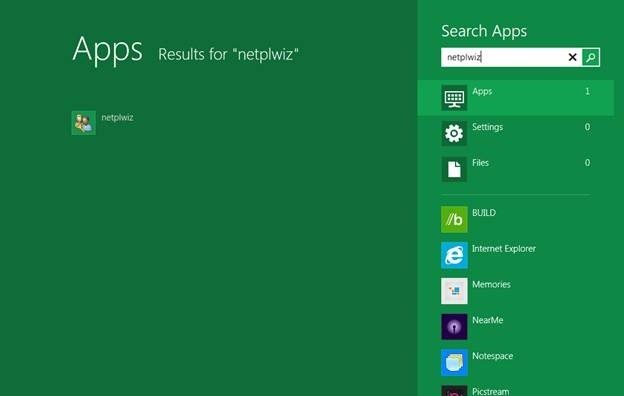 First, search for an app called “netplwiz”. You can start typing the text “netplwiz” while you are on the metro UI screen. This will open the apps search on the right sidebar and perform a search for the typed text. You will see the search results in the main window. Click on the “netplwiz” app icon to launch it. This will open the “user accounts” dialog box. Uncheck the check box before label “User must enter a user name and password to use this computer”. 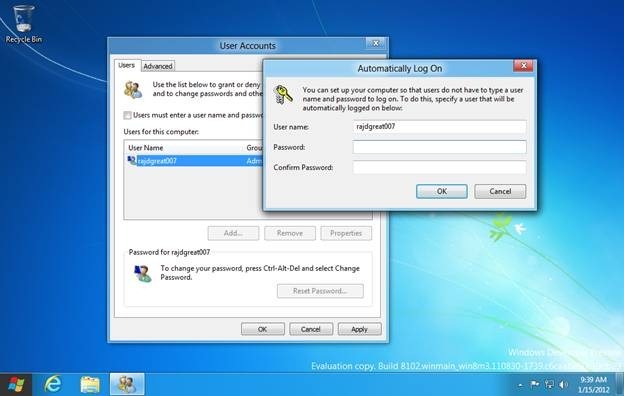 By default, this option is checked, and that is the reason for which you are required to input user name, and password every time you log in to Windows. Once you uncheck this option and click ok, You will see the following screen asking for your user name and password. Also, read our post on 5 Reasons To Look Forward To Windows 8. Enter you user name and password and click the OK button and you are done. From next time onwards, you will be automatically logged in to Windows without being asked for your user name or password.